Kyle Simpson and Gayland Stouffer were in the middle of a deserted field devastated by flood waters when they found the carbonated oasis. 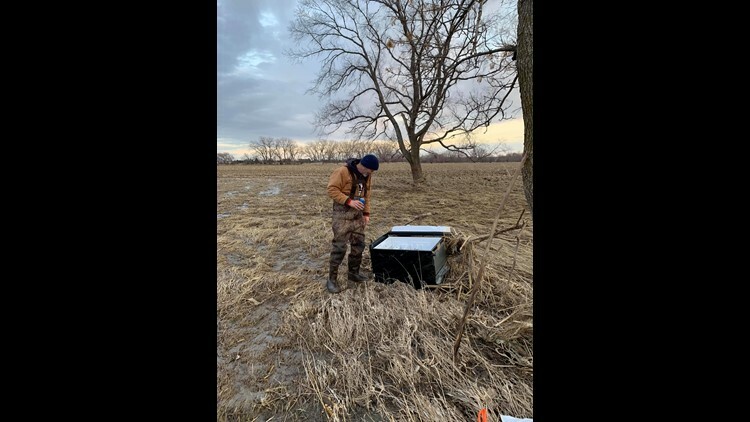 After a full day of cleanup and wading through waist-high water on St. Patrick’s Day, Kyle Simpson and Gayland Stouffer began making their way back towards the highway, which was blocked off for a mile and half by flood waters in Nebraska. The sun was beginning to set and miles away from the road they spotted a black box sitting alone in an empty field. As they began to walk towards the mysterious black box, Stouffer soon realized that it was a refrigerator. He opens the small refrigerator door, and to the duo's surprise, they come face to face with three cases of beer. And they were still ice cold. 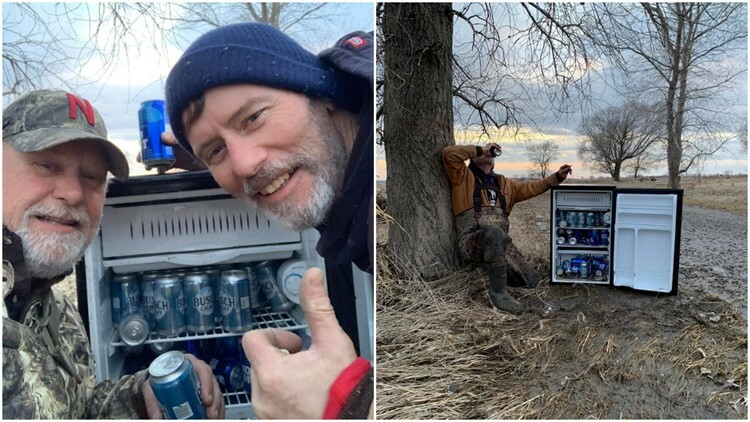 They took a couple of pictures with the fridge and sent them the next day to their friend, Tanner Podraza, who posted them on their Facebook page. It didn’t take long for the photos to go viral. Simpson said that they soon found out who the fridge belonged to after the photos had circulated the Internet. The owner told them he recognized his fridge because it had the right beer ratio of Bud Light and Busch Light. “I told the guy as soon as my roads are repaired that I would return it to them,” said Simpson. “Minus a couple of a beers,” he added. The “magic fridge” came from a cabin on the riverbank about three and a half miles from where the pair spotted it, which means it bobbed downstream the entire way with the beer still intact. Simpson is glad his story can be a small ray of sunshine in the middle of a heartbreaking situation, where many families have lost their homes and belongings. “I just really think that for the people that are affected by these floods, [it’s] something that they can smile about,” Simpson said. Simpson says he’s planning a way to keep the magic going by bringing the fridge to other houses and families devastated by the floods. He also urges others who are following his story to help any way they can. You can donate to the American Red Cross online here, call 1-800-RED-CROSS or text the word REDCROSS to 90999. The Nebraska Farm Bureau Disaster Relief Fund is also accepting donations that will provide emergency aid to farmers, ranchers and rural communities in the states. Additionally, the Nebraska Department of Agriculture is accepting volunteer help and agricultural donations for farmers. To donate, call 1-800-831-0550.